EU wheat futures closed lower Friday with Paris January milling wheat down EUR1.25 to close at EUR134.25/tonne. London January feed wheat closed down GBP1.85, or 2%, at GBP92.65/tonne. In a week of mixed signals for wheat currency is becoming more and more important. Every wheat exporting country around the globe, with the possible exception of Argentina has wheat to sell. How you local currency is faring against the dollar detirmines how competitive, or otherwise, your country's wheat is on the export arena. With the pound posting it's biggest gain in percentage terms against the dollar this past week since 2000, then it's maybe no surprise that UK wheat hasn't found much interest. What a contrast from a couple of weeks ago when we were exporting UK wheat to America! Since then however, the pound has climbed from $1.48 to $1.54, that has been enough to knock our competitive edge, and the same US buyer has subsequently bought Brazilian wheat. Still, it's not all doom & gloom, at least not for exporting wheat, with many pundits saying that there is only one outlook for sterling in the foreseeable future, lower. A steady stream of disappointing economic data added further gloom to British economic forecasts, and the general mood remains dour for the British Pound. The outlook for UK interest rates is still sharply lower, and the pound could still fall to $1.4100 by the end of the year, BNP Paribas said earlier in the week. Well, if British wheat can find export homes in the US, of all places, with the exchange at $1.48 then it's certainly going to be competitive if we hit $1.41 then isn't it? The main problem as we all know for our domestic crop is that we haven't got a quality card to play. Looking further ahead, the jury is well and truly out on prospects for 2009 and beyond. World plantings are forecast only slightly down (-1.6%) by the IGC, still even just a 1.6% reduction in output would equate to 28 million tonnes less wheat next season. Global ending stocks for the current 2008/09 season are pegged at 307 million tonnes by the IGC. That might sound like a lot of wheat, but in reality it is only two months supply, so it's actually still quite tight. World demand isn't going to get any smaller, despite the recession. Many analysts reckon that, by mid-2009, globalisation will quicken, with China, India, Russia and Brazil all increasing their economic strength. Emerging economies, whilst they might see economic growth drop from 8% to 6% in 2009, are still growing. And so is their appetite for meat. Global meat consumption is seen up 2% in 2009/10, according to the IGC. This had led to a steady and continuing expansion of the Chinese pig herd and poultry flock, for example, which required extra quantities of feed grain. The big unknown for next season are what are yields going to be like? 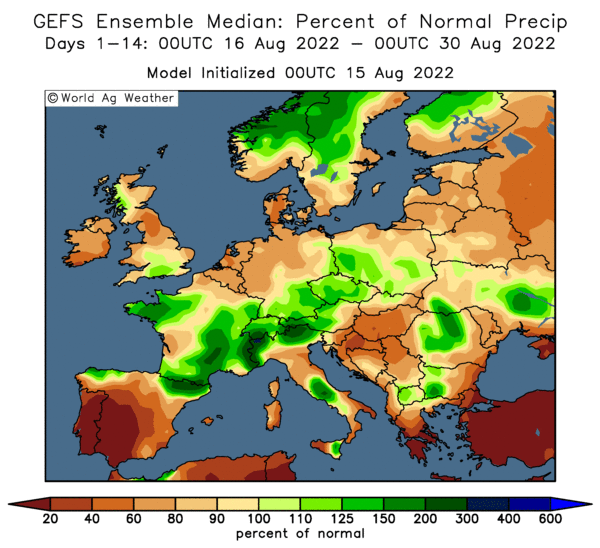 It seems unlikely that the entire northern hemisphere will escape with virtually ideal growing conditions next time round. In addition, how much fertiliser is going to be used with prices doubling, whilst wheat has halved, compared to twelve months ago? It's early days yet, but on the balance of probability, world wheat production in 2009/10 will be lower than presently forecast. Perhaps significantly so. I don't see demand decreasing. Maybe the financial stimulus packages announced by governments the world over will finally be trickling through and making a difference by then too? We shall see, whatever, I'm modestly bullish wheat for the second half of 2009. Due to the Thansgiving Holiday, trading ended at 12:00pm CST. CBOT corn futures traded lower this shortened trading day. Weaker crude oil and stronger dollar price movements were the major reasons for this price decline. USDA FAS released their weekly Export Sales for the week ending November 20. Net sales of US corn were up 7% from the week prior @ 465,000 MT. At the close, CBOT December corn $3.49, dow, 44 points. Soybeans ended the abbreviated session anywhere from UNCH to 7 cents lower. According to this week’s USDA FAS Export Sales, net sales of soybeans were down 1% for the week ending November 20 compared to the previous week. Soybean oil export net sales were eight times larger than last week’s depressed level at 17,100 MT. Export net sales for soybean meal were also down from the previous week. Compared to this time last market year, US exports for soybeans are up 8%, soybean oil is down 23% and soybean meal are down 5%. At the close, CBOT January soybean $8.83, down 3 cents. January soybean oil $0.32, down 4 points. December soybean meal $256.00, down $7.20. December CBOT wheat futures ended higher during this shortened trading day. Activity and volume were light due to the Thanksgiving holiday where most traders have taken the weekend off early. Declining crude oil futures and increasing US Dollar are bearish influences to Wheat. This morning’s USDA FAS Weekly Export Sales stated that wheat exports were 14% down from the prior week but within the range of trader’s expectations. In Chicago, Egypt’s yesterday purchase of 55,000 tonnes of SRW helped provide positive fundamental support to wheat futures. At close CBOT December wheat 5.42, up 7 cents. Hevay showers Thursday night and Friday across Argentina's parched grain belt brought some relief for the country's struggling wheat crop. Rains of up to 60mm fell north of Buenos Aires province, south of Entre Rios and west of Cordoba, according to the Rosario Grain Exchange. But with the crop estimated to be already 20% harvested, exactly how much benefit these rains will bring is debatable. Early harvest results show yields to be down around 20% on last season, due to drought and decreased fertiliser usage. With a lower planted area as well, final output is generally estimated in the region of 10mmt, around 35-40% down on 2007, with some estimates coming in as low as 9mmt. Oil World is currently forecasting world rapeseed production in 2008/09 at 56.5 mln t, up from 49.0 mln t in the previous year. Main producers will be the EU with 18.8 (18.4) mln t, China with 11.7 (10.4) mln t, Canada with 11.7 (9.6) mln t, Ukraine with 2.9 (1.1) mln t and Australia with 1.4 (1.1) mln t.
Total exports are seen at 9.7 (8.5) mln t, of which 5.7 (5.9) mln t will come from Canada, 2.5 (0.9) mln t from Ukraine and 0.7 (0.5) mln t from Australia, it says. Global use is estimated at 54.0 (50.7) mln t.
This should lead to increased ending stocks of 7.2 (4.7) mln t.
eCBOT grains trimmed earlier gains to close lower in the overnight markets, with soybeans down around 1-3c, corn 2c easier and wheat 2c lower. Egypt bought 55,000mt US wheat last night, passing on Russian and French grain, which was seen as supportive. The IGC Thursday maintained it's estimate for 2008/09 global wheat production at 683mmt, 73mmt higher than in 2007/08. Consumption for the current season was reduced 1mmt to 650mmt. Dryness in Argentina and harvest rains in Australia are still a cause for concern. The EU said it has granted licences to export 14.9 million tonnes of grains so far this season, nearly double the 7.6 million at the same point last year. The IGC raised its forecast for 2008/09 world corn production by 2 million tonnes from it's October forecast to 775 million tonnes. In it's weekly export sales report for the week ended Nov 20th the USDA announced export sales for wheat of 438,600MT (vs expectation of 300-500,000MT); corn 465,400MT (300-500,000MT); soybeans 785,600MT (550-750,000MT); soymeal 59,700MT (100-125,000MT); soyoil 17,100MT (5-10,000). Early calls for this afternoon's shortened CBOT session: Corn futures are expected to open steady to 4 lower; soybeans steady to 5 lower; wheat mixed. As part of the EU's latest farm policy revamp, ministers have voted to cap the volume of bread-making wheat sold into intervention stores at 3mmt at a price of EUR101.31/tonne. If and when this quota ceiling is hit, farmers will have to tender to sell their wheat, and EU policy makers will decide at what price further tenders will be accepted, if at all. It's not quite the end of intervention, but it's certainly the end of intervention as we know it. Of course, EUR101.31/tonne is well below the current market price for milling wheat, equivalent to around GBP84 at current exchange rates. So the decision is unlikely to have much impact here in the UK, or indeed with our near neighbours on the continent. It could be more significant in Eastern Europe however. Offers into intervention so far this season, which only started on 1st Nov, have amounted to over 24,000mt, mostly from Hungary, Slovakia and Bulgaria. The European Union's industry committee has voted to half its biofuels target for 2020, reducing it from 10 % to 5 % of total road fuel in energy terms. Against all expectations, the EU's industry committee voted to reduce its biofuels target by 50 % which, remarkably, would leave the 2020 target lower than the 5.75 % target for 2010! The parliamentary committee's vote follows a plethora of bad publicity for biofuels, with the main criticism being that its production has diverted crops away from food, thereby pushing up prices. It has also been argued that forests have been destroyed in order to make way for the cultivation of biofuels crops. Dairy Farmers of Britain (DFB) has announced it is closing dairies in Portsmouth, Hants, and the Fole Dairy near Uttoxeter, Staffs. It is also proposing the rationalisation of distribution depots at Portsmouth, Cheshunt, Leeds and Lincoln. Some jobs will also go in reorganisation at the head office in Nantwich, Cheshire. DFB, a co-operative of more than 2,000 farmers, is blaming rising costs over the past year and financial under-performance by the dairies. The Portsmouth dairy will close on 28 February 2009, affecting 186. The Fole dairy near Uttoxeter will close on 28 March 2009, affecting 246 staff. The Leeds depot will merge into the Sheffield depot, affecting 59 staff. The Lincoln depot rounds will transfer into other depots in the Lincolnshire area. The Cheshunt dairy in Hertfordshire will also be closing. DFB said: "The proposed restructuring programme is designed to return the business to profitability in the next financial year. "We recognise that this announcement impacts upon our employees at a difficult time and we will be working closely with employees, their representatives and local employment agencies to secure alternative employment for as many members of staff as possible." Dairy Farmers of Britain chairman Rob Knight resigned last week. Farmer director Lord Grantchester, who has been named interim chairman, said the trading environment presented challenges for all dairy businesses. Nestlé are reporting levels of melamine higher than internationally accepted as safe, have been discovered in two brands of it's formula milk in South Africa. Nestlé says that the product was made in South Africa and contained exclusively locally produced ingredients such as fresh milk. "The manufacturer has determined that the source of the contamination derived from animal feed used by some of its suppliers of fresh milk,” said a spokesman for the KwaZulu-Natal Health department. The salient point in all of this is that it throws into question the widely held belief that melamine ingested by animals does not pass into the food chain. It challenges the perception that the industrial chemical is either excreted by the animal or is diluted to such an extent that any remaining traces are practically undetectable in human food. Plans to build a huge biofuel plant at Scotland's oil refinery have been shelved. Ineos, which operates the refinery at Grangemouth, has blamed the economic climate for the decision to scrap the £65 million plans. It would have seen about 1.2 million tonnes of biodiesel created at the plant by 2010. Ineos announced its plans two years ago and said it wanted the site to become a world leader in the production of biofuels made from food crops. It was to build a new plant at the massive refinery site to handle the new production – and had attracted £9 million from the Scottish Government's Regional Collective Assistance fund. The Ineos site manager, Gordon Grant, said: "Earlier this month we indicated to the Scottish Government that we would not be progressing with the biodiesel plant in Grangemouth. "Biodiesel produced from food sources is very uncertain at the moment and this, coupled with the economic climate, makes it difficult in terms of being able to fund the project. We are just not in a position to go forward, as we simply don't have the money to put the investment in." Extensive downgrades to the Australian wheat crop following severe thunderstorms and rains in the east, are seeing futures prices for hard milling wheat sharply higher over the last few sessions. Benchmark January ASX milling wheat is A$8/tonne higher today at A$284/tonne, up from a contract low of A$258/tonne set on 23rd October, and A$10/tonne higher on the week. Lower milling wheat production means more feed wheat, which will also impact on the domestic barley and sorghum markets, traders said. There was a Severe Thunderstorm Warning current for all districts of QLD except the east coast and all districts of NSW except Sydney, Friday. The unusually widespread nature of the storms is due to huge amounts of tropical moisture feeding into a trough over the inland. The storms marched towards the Tasman Sea across the eastern inland, bringing heavy rain and damaging wind gusts. Ten minute rainfall totals in excess of 10mm in 10 minutes were experienced at Mudgee, Young, Orange, Bathurst, Tamworth, Condobolin, Mt Isa, Townsville, Bombala and Forbes to name a few. In terms of totals, all districts saw rain. Tamworth topped NSW with 79mm with a storm this morning. In QLD, top falls were over 100m around Tully, thankfully slightly north from Townsville where the heaviest falls (also more than 100mm) occurred yesterday. The storms also brought severe wind gusts in excess of 90km/h to Winton (93km/h), Griffith (91km/h), and for the second day in a row to Parkes (93km/h), all the highest in nearly a year or more. Just a few days after it was revealed that a consignment of Chinese soymeal shipped to Holland was tainted with melamine, another problem has turned up, this time in France. I guess if someone, somewhere is prepared to pay £600/tonne for something, and that something comes from China, then you can expect that the financial rewards to "enhance" the product are too tempting for some. France's largest agricultural co-operative Terrena has revealed that organic soya imported from China earlier in the summer has now been found to contain up to 46 times the EU permitted levels for melamine. As a result of the findings nearly a thousand tonnes of organic soya in the French town of Mervent has been quarantined. An estimated 300mt of the consignment had already been incorporated into animal feed, and distributed to more than 100 poultry farmers in the area, before the problem came to light. The French authorities say that the incident poses no risk to human health. The entire global picture has changed since the US introduced it's mandate to mix ethanol with gasoline. The country currently blends 9 billion gallons of the stuff with regular gasoline which is then sold at the pumps nationwide. Quite a few things have changed since this mandate was introduced. The price of oil has shot up to an all-time high, then fallen back to a three year low. The price of corn has also shot up to an all-time high in excess of eight dollars/bushel, before also falling back to a more normal $3.50/bushel. Then of course we have the credit crunch, slumping economies and rising unemployment. We have a US government throwing $800 billion at the economy to try and get it back on it's feet. One way to help of course if by lower fuel prices. Step into the spotlight Missouri. Missouri gas retailers have been selling gasoline without any ethanol blended into it for several weeks now, according to reports. And guess what? Gasoline in Missouri is the cheapest in the whole of the US, with prices as low as $1.33/gallon on Wednesday, compared to a national average of $1.89/gallon. That's a saving of almost one third. What's so different about Missouri? State law allows retailers to sell straight gasoline with no ethanol mix IF that is cheaper than a blended fuel. With ethanol currently asking up to $1.70/gallon and straight gasoline nearer $1.00/barrel it's a no-brainer. An interesting conundrum for fiercely pro-ethanol Barak Obama when he takes office in January. Waiving the ethanol mandate on a national level might accelerate the economic healing process, whilst going against Obama's environmental principles. Currently standing at $1.5423, the pound is set for it's largest one-week gain against the dollar in eight years. Reports that UK consumer confidence fell less than expected and gains in the stock market have supported sterling this week. Having closed last Friday at $1.4918, the British currency is set to post a 335% gain on the week. It is also set for a second weekly gain against the euro, currently standing at 83.84 pence from a close of 84.33 pence last Friday. The outlook for UK interest rates however is still sharply lower, and the pound could still fall to $1.4100 by the end of the year, BNP Paribas said. That would be good news for British export, making UK wheat more competitive on the export stage, which would further underscore support for domestic grain prices. Crude oil is lower in early trade Friday as traders book profits ahead of the weekend's OPEC meeting in Cairo. At 8.30am GMT crude was 63c easier at $53.79/barrel. Crude oil futures have slumped 63 percent from a record $147.27 a barrel reached on July 11. "OPEC members may consider a reduction at their meeting this weekend in Cairo to stabilize the market," said one OPEC member. "However recent cuts have done nothing to support prices, so why should it be any different this time?" asked one trader. The trade remains sceptical that what OPEC says, and what OPEC does are frequently two different things. A promised cut of 1 million barrels usually means a reduction of 500-600,000 barrels in reality. The Venezuelan oil minister said yesterday that the cartel aims to implement plans to evaluate compliance with the 1.5 million barrel a day cut from last month. But then again he would say that wouldn't he. Venezuela is having elections next year, and needs oil to be back up around $90/barrel to balance it's budget, analysts estimate. Meanwhile, analysis from the Deutsche Bank shows that OPEC cuts traditionally take 3-6 months to impact on prices. Data from the US Energy Dept. Wednesday showed US oil demand plunged 2.62 million barrels a day, the largest monthly percentage decline since August 1980. Grains are mostly higher on the overnight markets following the US Thanksgiving Day holiday. News that Egypt bought US wheat, not Russian, French or any other wheat offered is seen as being supportive to the grains complex. Egypt, the world’s largest wheat importer, agreed to buy 55,000 metric tons of US wheat from Alexandria Grain at $174.99/tonne FOB for shipment Dec21-31 yesterday. The is dollar headed for its biggest weekly decline in almost three years against the euro on speculation policy makers’ steps to spur growth and lending will reduce demand for the relative safety of U.S. assets. South Korea bought 55,000mt optional origin corn from Glencore overnight at $169/tonne, reportedly the cheapest corn purchased so far this year by any Korean miller. Japan said it had bought 600,000mt various origin corn so far this month, including 75-90,000mt Ukraine corn, which offers a $15/tonne discount to US corn at the moment. As with wheat however, Ukraine corn is inferior in quality to US corn, and Japanese buyers are reluctant to purchase too much of it due to broken kernels. China slashing interest rates earlier in the week is also fostering ideas that this decision will pave the way for increased imports of foreign grains. The recent Chinese melamine scandal is also seen as increasing imports of "safer" foreign raw materials. "Contamination is not merely endemic in China's dairy products or exported chocolate bars. With melamine having been found in fish and eggs, foreign feed grains are being substituted in place of contaminated domestic feed materials," says one Chinese news agency. At 8.30am GMT wheat is trading around 3-5 cents firmer, with corn unchanged and soybeans 2 1/2 cents higher. The International Grains Council Thursday said that world 2008/09 grain output would total 1.769 billion tonnes, 1 million tonnes lower than forecast last month. This still however represents an increase of 80 million tonnes on 2007/08. World consumption is pegged at 1.745 billion tonnes. This month's slight reduction comes on the back of lower wheat output from Australia and Argentina. Global ending stocks are pegged at 307 million tonnes, an increase on 2007/08's 283 million, but still rather tight. That equates to two months supply by my calculations. 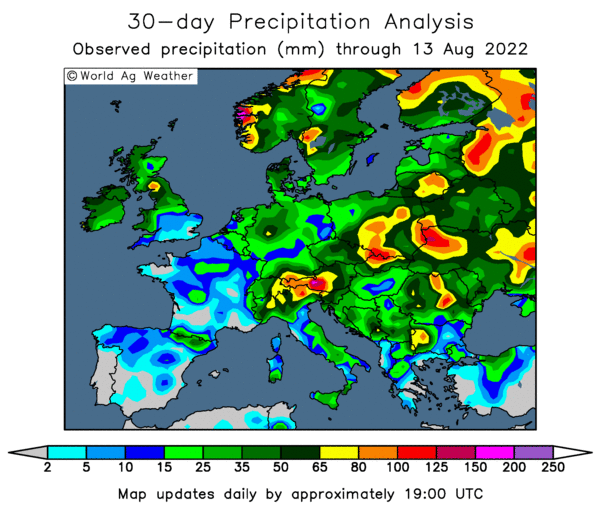 Any potential crop losses here and there due to weather problems and things could get quite hairy. Interestingly, despite the economic downturn, the also predict world meat consumption up by 2%, which will also keep stocks tight. Egypt's state-owned GASC has bought 55,000mt of US soft wheat in a tender concluded Thursday, paying $174.99/tonne FOB to Alexandria Grain. Argentine wheat was offered as low as $176/tonne in the tender, with the cheapest French wheat being $181.87/tonne. Russian wheat was offered cheaper down to $170/tonne, but GASC passed on that. EU wheat futures are modestly lower in quiet trade Thursday. With American markets shut today and only trading a shortened session tomorrow, I guess it was always going to be that way. Paris March milling wheat is down EUR0.75 at EUR136.25/tonne, and London May feed wheat is GBP0.70 lower at GBP100.00/tonne. The global economic slump is there for all to see, and that is what's in the driving seat at the moment. Indeed, that is largely ALL that people can see. Strange however, that the same people who were telling us six months ago that crude, metals, grains and everything else were on a one-way trip into the stratosphere are now the very ones saying the opposite. Maybe we need to look outside the box a bit here? World wheat stocks have been replenished. But they needed replenishing. Still, they are hardly burdensome, we had higher world ending stocks than currently projected as recently as 2002/03. Some analysts are raising concerns of sharply lower output next season as farmers scale back both plantings and fertiliser applications, with wheat prices running at or below production costs. Additionally, it seems unlikely that Mother Nature will be as kind the world over next year as she pretty much was this time round. Chuck some unfavourable weather into the mix and world production numbers could be a lot lower in 2009. And the population is still increasing, demand is still going up. We aren't talking about steel & concrete to build a bloody Olympic village here. We're talking food. The stuff people were dying fighting in bread queues over not that many months ago. It's not something we can do without. The wave of overwhelming nearby bearishness, has stopped people looking ahead to the possible bullish factors that could be in place a year from now. Twelve months ago all the clues were there too. Everybody knew that plantings were going to go through the roof as farmers the world over jumped on the gravy train. Like my old mentor at Bunge once said: "When everyone's a buyer, let them have it. When everyone's a seller, take it off their hands." The Cargill/ABF owned love-child Frontier Agriculture today became the latest agribusiness to report exceptional profits in 2008. In Frontier's case for the year ended 30th June 2008 they report turnover up by 65% to £1.1bn, while post-tax profit on ordinary activities hit £21.1m. I wonder what their book looks like today? As UK consumers drift away from organic produce as the credit crunch bites, Dairy Crest has sent a letter to it's organic milk producers saying that the compnay has no option than to cut the price it pays producers by 3.7ppl. Dairy Crest's milk purchasing director Arthur Reeves said the firm was negotiating with organic certification bodies and DEFRA to allow producers an organic "holiday" to feed cows conventionally until the oversupply situation was corrected! Have you ever heard anything of the like? With news emerging this week that Egypt has said it will not take Ukraine wheat for the rest of the 2008/09 season due to quality issues, the Ukrainian Grain Association (UGA) is urging the country's authorities to follow Russia's example and adopt measures to stimulate grain exports. Ukraine has already exported about 10 million tonnes of grain in the current marketing year, but further exports might become a problem due to tougher competition on world markets, as well as the inferior nature of this years crop. UGA president Vladimir Klimenko said, "We need to export at least another 10 million tonnes of grain. If this does not happen, then by July 1 we will have reserves of about 17 million tonnes - that would be a catastrophe." A carryover of these proportions, coming into the 2009 crop, would cause huge logistical problems for a country estimated to have less than 30 million tonne of commercial grain storage facilities. Ukraine's nearest rival on the world market, Russia is planning to accelerate procedures for refunds of value-added tax on grain exports, lower grain transportation tariffs and introduce export subsidies, Klimenko said. He said Ukraine should also stimulate grain exports by accelerating VAT refunds and reducing freight rates for grain. Ukraine produced an around 28 million tonnes more grain in 2008 than it consumes domestically, and is hoping for a similar harvest in 2009. Increased US ethanol production means more and more distiller’s dried grains with solubles (DDGS), a co-product of U.S. ethanol production, coming onto the market. From a fish farm in Vietnam to a pet shop in Mexico, the US has quietly has been making inroads into non-traditional feed markets such as aquaculture (fish farming), while showing potential in others sectors like pet food. The U.S. Grains Council has been active in researching how DDGS can be used in non-livestock feed rations through the various feeding trials it has conducted throughout the world. While the use of DDGS in both aquaculture feed and pet food is currently in the research phase, studies have shown that the co-product has the potential to serve as a healthy, reasonably priced feed ingredient. In Southeast Asia, aquaculture is the region’s fastest growing demand sector for feed grains. Indonesia and Vietnam are already using DDGS in aquaculture diets. Total aquaculture production for the region is estimated to reach 9 million metric tons as the export demand continues to increase. Yusupov said the Council has been engaged in DDGS feeding trials within the region with the aim to further explore this issue. In August, the Council signed a Memorandum of Understanding with Vihn Hoan Company in Vietnam to conduct a DDGS feeding trial with catfish, coinciding with plans to develop an aquaculture demonstration farm on the company’s premises. The feeding trial is currently underway, due for completion in December, and Vihn Hoan Company is in the process of building two ponds for the demonstration farm. “We are optimistic that DDGS can be used up to 15 percent in catfish diets, however, this needs to be scientifically proven for the industry to accept that,” Yusupov said. DDGS used in aquaculture is also showing promise in Egypt’s market. Fish consumption in the country is approximately 13 kilograms per capita, with aquaculture producing 61 percent of that number. Tilapia, catfish and mullet are the most commonly cultured fish in Egypt. On the other side of the world, Mexico has also been exploring the possibility of including DDGS into non-livestock diets, particularly pet food. “We think there is great potential for DDGS to be used in Mexico’s pet food industry, however, sector representatives have requested more information on the feed ingredient as the pet food market is demanding and sensitive,” said Julio Hernandez, USGC director in Mexico. “Still, with the pet food and pet care industry expected to grow, driven mainly by marketing campaigns and pet owners’ awareness about the benefits of providing a balanced diet for their pets, there is an opportunity for DDGS to make inroads into this market.” Mexico is already a huge importer of U.S. DDGS and the United States’ top importer, having purchased more than 800,000 tons in 2007 with exports expected to increase by more than 350 percent within the next five years. A formal objection was filed with the U.S. Bankruptcy Court in Delaware on Tuesday concerning VeraSun Energy's rejection of outstanding contracts for corn. After filing for Chapter 11 Bankruptcy, VeraSun began refusing to honour contract prices for corn offering market spot prices instead. Ron Litterer, chairman of the National Corn Growers Association, along with producers from several states filed the complaint. "It is doubtful that we can influence the courts to require VeraSun to pay the contracted price for our corn. However, we do hope to influence other issues of concern to growers," Litterer said. Chief among those concerns is a bankruptcy procedure that could allow VeraSun to wait until 10 days before a contracted delivery date to notify growers that the contract will be rejected. That would let VeraSun determine the market price before deciding whether to accept delivery under a contract, but it would leave growers up in the air until the last minute. Growers could lose out on their contracted price but by being in limbo it could mean losing the chance to sell corn someplace else at a better price. Litterer says this is extremely unfair and hopes he and the committee of producers from other states can serve as a voice for corn growers in the case and advocate for corn suppliers' interests with the court. Are Crude And Soybeans Getting Divorced? In a fairly recent development, as biofuel consumption has grown with the global push towards energy from renewable sources, the price of soybeans and crude oil has become inextricably linked. Over the last few weeks however has crude has continued to fall, signs have been emerging of a shift back to the good old days of trading the fundamentals for beans, and the relationship between the two is running less in tandem. There is a marked difference in divergence since the beginning of October, where beans have largely levelled out whilst crude has continued to fall. This may indicate that soybeans have finally found their proper value, and may not be as badly threatened by further price falls in crude as may have previously been the case. Certainly OPEC members will be doing all they can to insure against crude falling further from current three year lows, with countries like Iran and Venezuela needing oil prices nearer $90/barrel to balance their books. There is even talk of roping in non-OPEC members like Russia, who also have a vested interest in seeing the price back up, to also threaten production cuts in the months ahead. As a horse racing fan, today is a bit like one of those days in the middle of winter when you are looking forward to some quality action. Racing from Haydock, Newbury and Cheltenham has been cancelled due to frost but you can still have a bet on the 3.10 at Fakenham if you like. Well eCBOT might be shut today but crude oil is still trading. Floor trading at NYMEX is closed but electronic trading is still going on at Fakenham, or somewhere. And it's currently $1.73 lower at $52.71/barrel. And why wouldn't it be? US inventories yesterday were up a stunning 7.28 million barrels, against expectations of a rise of 1 million. Gasoline supplies were up 1.84 million barrels against expectations of half a million. OPEC meet in Cairo Friday, but most analysts expect them not to announce a production cut until December's meeting in Algeria. The pound is higher as the FTSE100 opens in positive territory 53.82 points higher at 4206.51. Also adding a bit of support was news that British house prices declined this month by less than economists had predicted, a Nationwide Building Society report showed. At 9:00 GMT the pound was $1.5420. LIFFE/Euronext markets will be open as normal today/tomorrow. There is no CBOT tonight and there will only be a shortened session tomorrow. Senior figures from the UK's carmaking industry are to meet business secretary Lord Mandelson later to appeal for government assistance. They will propose a package of measures which they say would help the industry through the difficult economic climate. These include more credit for manufacturers and suppliers, giving car finance firms easier access to cash and delaying a rise in vehicle excise duty. In the US, the "Big Three" carmakers have been told to come up with their own viable recovery plan by December 2nd if they want a $25bn (£17bn) government rescue. Well, that's another couple of big names gone, as Woolies files petitions for administration along with MFI. Possibly, the principle wonder of Woolies is how they managed to carry on this long? Jack of all trades and master of none it would seem to me. My local store here actually closed down a few weeks ago. It was not the largest Woolies you've ever seen. But still it sold everything from sweets to CD's, clothes to mobile phones, buttons to pots and pans, stationary to light bulbs. And everything was a mess, with your cash being taken by some sullen spotty 16 year old "Am I Bovvered" parody. "The wardrobe door is hanging off again darling." "Well, what do you expect, it did only come from MFI." Still, 30,000 Woolies employees on the Nat King Cole just before Christmas isn't nice. Although surely a large number of those employees are characters from Little Britain and Catherine Tate who can go back to their day jobs at the BBC? Maybe one of the 2,500 MFI employees now out of work can come round & fix my wardrobe door? The Standard & Poor’s 500 Index has staged the steepest four-day surge since 1933 this week, as a rally in oil prices lifted energy shares and investors speculated President-elect Barack Obama’s economic team are a cross between Stephen Hawking and David Blaine. The S&P 500 climbed 3.5 percent to 887.68 Wednesday, the index has now surged 18 percent since dropping to an 11-year low on Nov. 20. Benchmark indexes erased earlier declines after Obama picked former Federal Reserve Chairman Paul Volcker to head an economic advisory board and said he will implement a plan to bolster growth on “day one.” This week, Obama also named Fed Bank of New York chief Tim Geithner as Treasury secretary and former Harvard University President Lawrence Summers as White House economic director. Crude oil rose after China, the world’s second-biggest energy-consuming country, cut interest rates by the most in 11 years to bolster economic growth. Crude increased $3.67 to settle at $54.44 a barrel. Crude oil supplies rose a staggering 7.28 million barrels to 320.8 million barrels last week, according to the U.S Energy Department. It was the ninth-straight increase, the longest stretch since April 2005. Astonishingly, the markets brushed off the data (inventories were only expected to rise 1 million barrels), as the U.S. slapped each other on the back about what a great guy Obama was, and how he was going to sort everything out in January, before going home to get the turkey ready. I think that it may take until Monday for reality to kick in. EU wheat futures closed mixed Wednesday night, going into the US Thanksgiving holiday Thursday, and will likely remain quiet for the rest of the week as the US influence dissipates traders said. "The Septics are packing up for the holiday and we won't see most of them now until Monday," said one Hull-based trader. Egypt are tendering tomorrow for various wheat parcels and it will be interesting to see which countries get the nod, in light of the announcement earlier today that Ukraine wheat has too many quality issues to be welcome for the remainder of the season. Talk that world wheat plantings may, in reality, be substantially lower than official estimates for the 2009 crop. And ideas that farmers may hold back on expensive fertiliser application, together with weather uncertainties, are leading to one or two Bravehearts suggesting that big wheat prices are not necessarily a thing of the past. Paris March milling wheat closed +EUR0.75 at EUR136.25/tonne. London January feed wheat fell GBP0.15/tonne to GBP95/tonne. 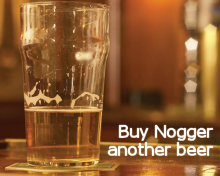 Egypt is back in the market for wheat according to Nogger's sources. They will tender Thursday for 55,000mt US/Argy or Kazakh soft wheat, together with floating a tender for 25-60,000mt French/UK/Russian milling wheat Nogger understands. Given the tight supply situation in Argentina at the moment, my money is on Kazakhstan getting the nod for the soft wheat and Russia getting the vote for the milling wheat. Nogger's sources also reveal that the Allies get the nod in WW1 & 2, the 1966 World Cup Final will end in a controversial win for England, and that Sue Ellen shot JR. The 104-year-old Icelandic bank Glitnir has filed for bankruptcy in the US listing both debts and assets of more than $1 billion in Chapter 15 documents filed Wednesday in U.S. Bankruptcy Court in Manhattan. According to court documents, the banks assets are bank accounts and loans made to U.S. companies. Glitnir is one of Iceland's biggest three banks, all of which were recently seized by the government there, after they were unable to secure short-term funding. The three banks together amassed debt of $61 billion, equivalent to about 12 times the size of the economy. Corn futures finished near flat for a quiet Wednesday before the Thanksgiving Holiday on Thursday. Higher crude oil helped to underpin most grains, no big price movements aroused but spreading of December/March as Friday market First Notice Day for the front month. Bulls tried to rally on news of Egypt purchasing 120,000 MT of US corn but the news was offset by Japan buying a large portion of Black Sea corn. US commodities remain more expensive than other foreign regions resulting in diminishing exports and ultimately lower prices and building supplies. Crude oil and the dollar were moderately higher and grains finished steady to flat; could that relationship be breaking? Dec +1/2 at 3.54. Soybeans closed marginally higher today, receiving support from higher crude oil. Basis is seasonally narrow in most Midwest regions as farmers remain reluctant to sell, this is possible with enormous on farm grain storage expansion over the past 3 years. Census Bureau released bearish crush estimates for October of 149.75 MB below trade guesses of 151.2 MB. Strength in crude oil at midday is underpinning soybeans; bean oil stocks were lower from the previous month, indicating increase in demand, less production or a combination. Jan +3 at 8.86; Dec Meal +.70 at 263.20; Dec BO +26 at 32.50. Wheat futures finished with mixed gains and losses. CHI wheat pegged marginal gains from spillover support from other CBOT grains while KCBT and MLPS wheat futures closed with moderate declines. China, along with the European Union are attempting to stimulate their economies by cutting interest rates and approving financial backing much like the US. With global stimulus plans or policies in place, better days for consumption and demand for US grains may be ahead. Remember First Notice Day for all Dec wheat contracts is Friday and squaring of positions before the closing bell rings today could be a main theme. Dec CHI +1 at 5.35; KC -3 at 5.58; MLPS -4 at 6.01. Troubled US chicken producer Pilgrim's Pride pulled a short-term rabbit from the hat Wednesday by getting an unexpected third temporary waiver from it's lenders. The new waiver expires next week, allowing it a few more days to develop plans to address the financial challenges the company is facing. "Pilgrim's Pride Corporation today announced that it has reached an agreement with its lenders to extend the temporary waiver under its credit facilities through noon (CDT) on December 1, 2008," the company said in a statement. Given that tomorrow is Thanksgiving Day, and many market participants are expected to be missing Friday, it seems like Pilgrim's top execs won't be seeing much of the family over the next few days. I'm starting to feel a kind of warmth towards Pilgrim's Pride. They're a bit like Wimbledon winning the FA Cup or Foinavon in the Grand National (for the benefit of my American readers both those victories were long-shots). Shares in the company almost doubled on the news, up 89% to $1.02. Well, they've been moaning about drought for long enough, Mother Nature has decided to have a little fun with Australian farmers by deluging them with rain, slap bang in the middle of harvest. Moist westerly winds in the upper atmosphere, combined with an easterly flow at the surface, have caused a bullseye of rainfall that has spread from southeast QLD across the border to the NSW Northern Rivers. Another bout of rain and strong winds will inundate southeastern Australia over the next few days, in conditions very similar to those seen last week. Instability, combined with a plentiful moisture source will see New South Wales, Victoria and Tasmania receiving decent falls from Thursday until Sunday. The Victorian and New South Wales ranges can expect up to 50mm of rainfall in places. Around 70% of the QLD crop is already harvested, but the remaining 30% is likely to suffer quality losses. Further south in NSW only 25 to 30% of the crop is in the barn, so quality losses there could be greater, analysts say. eCBOT futures closed higher in the overnight session with soybeans 11-13c firmer and wheat and corn both up around 2-3c. Crude oil is almost a dollar firmer after China cut interest rates, improving demand outlook. US crude stocks data is due out later this afternoon. China continues to support domestic prices by buying corn and soybeans. US first-time jobless claims fell to 529,000 which was better than expected, however that figure is still substantially higher than 349,000 a year ago. US durable goods orders posted their largest decline in two years, falling 6.2%. Early calls for this afternoon's session: Corn futures are expected to open steady to 3 higher; soybeans 5 to 8 higher; wheat 2 to 5 higher. Pilgrim's Pride Inc. is facing a crucial deadline that analysts say will determine if the nation's largest chicken producer can stay out of bankruptcy court, according to a report in Dallas News. A waiver from its major lenders expires today, and analysts expect the troubled company to seek an extension – its third. Without it, Pilgrim's Pride could be in default of major loan provisions. The company, which issued a warning on, but has yet to report fourth-quarter financial results, got a waiver from lenders that pushed the deadline to late October. A second extension for the Pittsburg, Texas-based company runs out today. To make matters worse, earlier this month, Russia – a major export market for US poultry – said it plans to cut 2009 import quotas on poultry by 300,000 tons. And if that lot wasn't enough, the company faces at least two lawsuits alleging securities law violations for "false and misleading" statements it allegedly made about its finances, the newspaper reports. US hog producers are to import wheat from Britain and Brazil due to the high cost of US corn and feed grain, said Don Butler, spokesman for Murphy-Brown, the hog-raising unit of Smithfield Foods. The United States is the world's largest wheat exporter and it is rarely economical to import feed grain. However, a dramatic drop in ocean freight has made foreign wheat more economical than US supplies, Butler said. The first two vessels will arrive in Wilmington, North Carolina, in the first week of December. The other shipments will arrive in January and February. Two cargoes will be from Britain and one cargo from Brazil, which imported US wheat earlier this year when supplies were not available from neighbouring Argentina. Wheat cargoes are normally 25,000 to 55,000 tonnes, depending on the size of the vessel but the amount of wheat in each cargo was not specified. "The shipment of wheat will offer us an alternative to very expensive corn," Butler said. "I can't get into specifics but it's not an insignificant volume." The European Commission has unveiled an economic recovery plan worth 200bn euros (£170bn) which it hopes will save millions of European jobs. The idea is to stimulate spending and boost consumer confidence by injecting more purchasing power into region. The proposal by EU Commission chief Jose Manuel Barroso was backed during a closed-door Commission meeting and amounts to 1.5 percent of the bloc's gross domestic product (GDP) substantially more than the 130 billion euro injection initially mooted. The European Commission president said the bigger part of the package would be implemented in 2009, while some measures would continue into 2010. Poet, the largest US ethanol producer, has said that it is in "serious" talks on possible acquisitions in the alternative fuel industry, despite the economic downturn and falling crude oil price. Without naming names, the obvious assumption everybody is making is that the private 10,000 farmer owned group is talking about VeraSun. VeraSun, who went bankrupt at the end of last month, said Monday that it had received a nonbinding unsolicited indication of interest for the purchase of "substantially all of its assets." A Poet acquisition would however potentially give them close to 25% of the US ethanol market triggering competition concerns. Cargill and ADM are seen as other likely candidates to take on some, if not all, of VeraSun's 16 US facilities. Remember 2007? Feed wheat at £200/tonne? The good times are about to roll again my friends. “While any future large movements in price will depend upon the estimates for the 2009 harvest, which will be influenced by the usual factors of planting, frost and drought, ultimately it is a difference in annual crop yield that has the greatest influence on price. “We expect global production to fall next year, and on current consumption figures a reduction in world stocks. 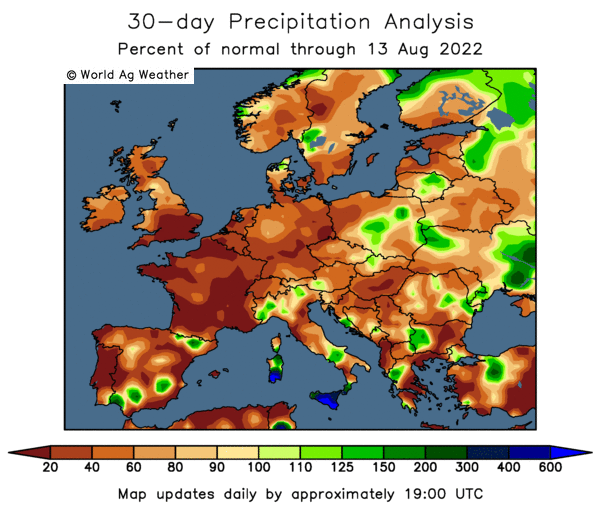 The forecast is based on the probability of weather conditions being less favourable and crop input applications reducing as higher input prices change the financial optimum and credit restraints limit purchasing power. Blimey! Will we ever see feed wheat at £200/tonne again? I think we will, but I don't see it being in 2009 if plantings are only down 2-3% as all the leading authorities seem to think. No matter what the weather throws at us. 2010/2011 however could be a different story, once the world is hopefully back on it's feet. UK: North West To Get New Grain Store? A North West Development Agency and farmer funded feasibility study is being carried out into the viability of establishing a centralised grain storage facility in the North West of England, reports the Farmer's Guardian. The facility would provide an opportunity for cereal growers in the region to add value to their grain and give them a high class drying, processing and storage facility, they say. An update meeting on the project is being held at the regional office of the NFU at Skelmersdale on Thursday, December 4 at 7pm. It will include a presentation from Rob Sanderson, head of central stores for the newly created Openfield business, the product of a merger between Centaur Grain and Grainfarmers. Certainly, there are a lot of potential homes for grain in the northwest, however the region only produces 1% of the nation's wheat and 2% of the barley crop according to the USDA. Bunge North America is discontinuing soybean processing operations at its facility in Marion, Ohio, effective Nov. 30. The company will honor all existing contracts for soybeans, meal and oil and continue to contract for soybeans for delivery to Marion. The facility will remain open as a grain elevator. Bunge will use the next two months to transition the facility from a soybean processing plant to a grain elevator. Approximately 51 employees at the location will remain to operate the elevator while others will have the opportunity to apply for open positions at other Bunge plants. Overnight grains are steadier on eCBOT with soybeans 10-13c higher, wheat up 2-3c and corn around 2c firmer. A weaker dollar is helping support the grains complex on ideas that it will help make US commodities more competitive on the export front. Crude is higher China’s central bank cut interest rates for the fourth time in ten weeks to boost slowing economic growth. At 9.45GMT December crude was up half a dollar at $51.27/barrel. Crude oil stocks data due out later today is expected to show US inventories continuing to rise, as US motorists cut back on consumption despite recent price declines. Sterling slipped against the dollar and yen on Wednesday, retreating from a two-week high against the U.S. currency set Tuesday as falling stock markets prompted a bout of profit-taking. At 9.45am GMT the pound was $1.5405, around a cent below Tuesday's high, but still six cents or so better than last week's levels. The currency rose yesterday after gains by stocks boosted demand for higher-yielding assets. The pound rebounded from earlier declines after Prime Minister Gordon Brown proposed a budget this week that would create the largest deficit among the Group of Seven nations to battle a looming recession. European and UK equities fell, as investors eased back on risky assets after rallying in the first days of this week. The pound's buoyancy could be short-lived as policy makers will cut its benchmark rate to at least 1.5 percent from 3 percent, according to some analysts. Trading in Woolworths shares was suspended this morning as talks to rescue the beleaguered retailer continued. In a brief Stock Exchange statement Woolworths announced that it had asked the exchange to suspend trading “pending the outcome of these discussions”. The collapse of the high profile chains could also spark further discounting as administrators try to clear stock in the run up to Christmas – hitting the profitability of other retailers. Retailers have been squeezed by a collapse in sales in the run up to the crucial Christmas trading period as consumers have cut back spending. During November 1-18 period, 2008, Russia exported 845,000 tonnes of grains, including 752,000 tonnes of wheat, 91,000 tonnes of barley, 2,000 tonnes of rye, declared the Ministry of Agriculture of Russia. From the beginning of 2008/09 marketing year, Russia has exported 9.52 mln tonnes of grains, including 8.48 mln tones of wheat, 1.03 mln tonnes of barley, 9,000 tonnes of rye. In October, grains export volumes totaled 2.44 mln tonnes (2.19 mln tonnes of wheat, 2,000 tonnes of rye, 249,000 tonnes of barley). Egypt's state-owned wheat buyer GASC has officially announced that it will not accept any Ukrainian wheat for the rest of the current season due to quality issues. There have been rumours for some time of Ukraine wheat failing to meet contractual quality criteria. Egypt has already taken 886,000mt Ukraine milling wheat so far this season. Corn futures finished near steady on the day after opening lower. Trade was relatively quiet today with no significant price moves in any contract. Slumping crude oil halted any bullish momentum carrying over from Monday's impressive rallies. Corn harvest narrowed the gap last week to 89% complete and good weather this week should allow near completion by next week. A softer US dollar helped to offset pressure from lower crude oil and underpinned grains. This week will be shortened due to the holiday on Thursday and an early close on Friday, but could give some surprises for the rest of the week. Dec -1 at 3.53. Soybeans finished a smidge lower with little fresh news to swing futures either way. The soy complex was mixed today with beans being steady to lower, meal higher, and bean oil lower. Profit taking after Monday's sharp run up put the initial pressure on soybeans but softer crude oil and stock market retreating from morning highs also weighs in. However, bullish momentum from yesterday carried over into the meal pit as it remains higher on the day. Basis bids persist on being scattered, some Midwest regions are firmer due to the lack of famer selling. Census Crush will be released tomorrow. Jan -1 at 8.83; Dec Meal +4.80 at 262.50; Dec BO -50 at 32.24. Wheat futures trended a few cents lower in CHI but lost double digits in MLPS. Position squaring may spark some erratic trade during the short week as First Notice Day December wheat contracts at the 3 different exchanges. US winter wheat crop remains in almost ideal condition and well above last year's and the 5 year ratings backing the theory of adequate supply in the near term with no shortages coming for �09 crop due to weather. With sharp declines in the US dollar, should of jumped grains sharply higher, but since they did not it may suggest that US commodities are over priced compared to ROW, and may be especially true for wheat. Dec CHI -3 at 5.34; KC -6 at 5.62; MLPS -10 at 6.05. Having endured a quiet week by their recent standards, Somali pirates seem to have sobered up enough to hit the high seas in search of fun and adventure once again. Yemen's official SABA news agency said Tuesday that a Yemeni ship loaded with steel, the MV Adina, was the latest vessel to be seized in the Gulf of Aden. The vessel was travelling from Mukalla port to the southern island of Socotra loaded with 507 tonnes of steel. Of the ships seven man crew, three were in fact Somali's themselves, so at least they should fit in quite nicely. Grains closed mostly lower on the overnight eCBOT market, with soybeans ending the session 7c lower, wheat down 4c and corn down around 2 1/2c. Crude is back below $54/barrel, paring yesterday's gains of almost 10 percent, at $53.06. With European stocks opening lower, and the Thanksgiving Day holiday looming, trade looks like turning quieter for the rest of the week. Jordan is tendering for 100,000mt wheat. Japan has cancelled it's normal weekly tender, presumably due to the US holiday. Quality concerns are evident in eastern areas as the Australian harvest progresses. The weather in Argentina also remains a worry. US consumer confidence is likely to be the lowest on record when that is announced before the bell at 1500GMT this afternoon. Early calls for this afternoon's CBOT session: Corn futures are expected to open steady to 3 lower; soybeans 5 to 8 lower; wheat 5 to 8 lower. In a bizarre twist of fate from just a year ago, when India was importing wheat to buffer domestic stocks, the country now has more wheat than it can cope with and is eyeing exports as a possible way of reducing the surplus. After producing a record 78.4mmt of wheat in 2008, the 2009 crop is expected to match or even slightly better that. With domestic consumption some 10mmt lower than that, storage facilities may be unable to cope with the 2009 crop due to be harvested in the spring. Opening stocks of wheat were just 4mmt going into the current crop at Apr 1st 2008. Nov 1st stocks however are 21mmt, which will likely see a carryover into 2009 of some 10mmt. With next season's crop being called in the region of 78.5mmt, that gives India 20mmt more wheat than they are likely to consume next season. The government announced last month that they would dispose of 1mmt of wheat to bulk consumers such as roller mills and biscuit producers by the end of the year. To date only 80,000mt of those wheat offers have been taken up. With Black Sea red wheat priced at $160/tonne, the government are finding few takers at asking prices of $240/270. It's a big week ahead for troubled US chicken producer Pilgrim's Pride Corp., with another debt deadline rapidly approaching Wednesday. Some analysts are predicting that the company's creditors may be less willing this time round to grant a waiver than they have on two previous occasions. As the pressure mounts, the company is also due to pay a $25.7 million interest payment next week. Pilgrim's has done what it can, by cutting production and slashing costs, but may lack the resources to ride out the current storm to see the benefits of these cuts, according to some analysts. Despite posting a monster $91 million loss in it's latest quarter, more diverse rival Tyson Foods said recently that it would not be cutting chicken production at it's US facilities. Unlike Tyson, Pilgrim's only produces chicken and has 32 facilities in the US and a further 3 in Mexico. The number of mortgages approved for house purchases was down to 21,584 in October, 52% lower than a year earlier. The figures from the British Bankers' Association (BBA) show that in October, net mortgage lending by the UK's biggest banks rose by £2.9bn. This was less than in September and below the average for the previous six months of £3.9bn. The figures come the day after a stark warning about the state of the mortgage market in a report by former banker Sir James Crosby. He warned that without government intervention, net new mortgage lending might shrink below zero in 2009. Sir James said that, in the current economic climate, it would be hard for banks to finance loans. "Therefore I believe that new net mortgage lending is likely to fall below zero in 2009, with only a modest recovery likely in 2010," he said. The downturn in the global financial market paired with tightening credit conditions continues to take a toll on Europe’s second largest economy, and conditions may only get worse as home prices fall further. Meanwhile, business investments in the U.K. fell 0.2% in the third quarter despite expectations for a 1.9% decline. The data suggests that economic activity will remain subdued well into 2009 as the economy heads into a recession, which could force the Bank of England to lower borrowing costs even further as growth prospects deteriorate. Market participants have already raised bets that the BoE will deliver a 50bp cut at the December 4th policy meeting, which would lower the benchmark interest rate to 2.50% from 3.00%. Hilary Benn has today sensationally been axed from his role as Rural Affairs Secretary. Benn will be replaced by children's cartoon character and all-round good egg Mr Benn. "It will save a lot of mucking about as we've just had a load of new stationary printed," said Prime Minister Gordon McBroon. 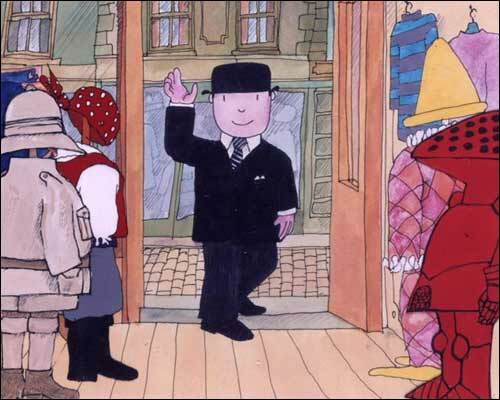 "Mr Benn is a fearless, mild-mannered sort of a chap who loves dressing up. Exactly the sort of young spunker we need to sort the job out," added McBroon. The Prime Minister refused to confirm press reports that new Food and Farming Minister, Jane Kennedy will also be axed and replaced with Game For A Laugh's Sarah Kennedy. New Zealand’s lamb exports may drop to a 45-year low this season after drought cut breeding stock and farmers converted to more profitable dairying and cropping, according to Meat & Wool New Zealand Ltd. The export kill may fall 23 percent to 20.4 million lambs in the year starting Oct. 1, the lowest since 1963, it said. Meanwhile, total lamb numbers will fall 15 percent to 27.3 million, they added. Europe and the U.K. buy about half New Zealand’s lamb production, with North America and North Asia the next largest markets with about 12 percent each. The latest national statistics on Great Britain's output of animal feed for the months of July, August and September 2008 have been published by Defra. Sales of organic food are falling as the credit crunch hits consumers pockets, according to Mintel. The UK organic food and drink market is currently worth £1.6 billion, they say. But, as a result of the current economic climate, almost half - 48per cent - of all organic shoppers say that they will reduce or even give up buying organic food in the next year. Mintel's research suggests that locally sourced and fair trade products are more important to consumers than orgainc status. In fact, locally sourced is the number one ethical concern when it comes to grocery shopping. The market for locally sourced produce is worth three times that of organic, at £4.8 billion. As ethanol giant VeraSun spirals into further peril, some Minnesota corn farmers and local elevators are growing worried about who might be dragged down with it. Back when grain prices were high, a number of southern Minnesota farmers had agreed to sell corn to VeraSun for its huge new Minnesota plants in Janesville and Welcome. But on Oct. 31, VeraSun filed for bankruptcy protection and now says it will not honour those contracts. Several grain elevators are caught in the middle, because they agreed to buy corn from farmers and sell it to VeraSun. They're still obligated to buy corn from local farmers at a high price, but can't resell it at that price, or anything near it. Growers who contracted with VeraSun to supply the ethanol producer with corn during the 20 days leading up to the bankruptcy filing can get prompt payment in full — but there's a catch. By endorsing a newly issued cheque from VeraSun, producers would be agreeing to continue supplying the company not at contracted prices, but at "prevailing market prices in accordance with the most favorable terms and conditions" for the next 12 months, according to court documents. VeraSun, which purchased US BioEnergy of Inver Grove Heights in April, has a chain of 16 ethanol plants. That includes the two in southern Minnesota that were on the brink of starting up, but now are idle. Minnesota state officials have been monitoring complaints from farmers and elevators, but because no grain wahas been delivered on most of those voided contracts, state law provides little protection. This casts a huge shadow over the entire grain industry. "The real concern I have is that we have farmers questioning the validity of all contracts out there," said the head of the Minnesota Grain and Feed Dealers Association. BHP Billiton's decision to drop its bid for Rio Tinto has sent the Footise tumbling this morning with miners giving back big chunks of yesterday's supercharged gains for the sector. BHP Billiton said a bid for Rio is no longer in the best interests of shareholders, although the company remains convinced of the industrial logic of a merger between the BHP Billiton and Rio Tinto, the continued deterioration of global economic conditions has prompted a rethink on whether now is the right time to execute a huge acquisition. Its shares are higher, up 7.65%, but Rio is down over 37% and other miners are down in sympathy. Just after 9am GMT the FTSE100 was down 71.37, or 1.72%, at 4081.58. The French CAC40 was also lower, down 1.65% and Germany's DAX down 1.88%. Russia could export about 2 million tonnes of grain to Brazil and it is ready to increase imports of Brazilian soybeans to 1 million tonnes. These plans were unveiled by Russian Agriculture Minister Alexei Gordeyev during talks with Brazilian Agriculture Minister Reinhold Stephanes in Sao Paulo, Brazil, according to the Russian Agriculture Ministry's press release. "We have discussed a plan to export Russian grain to Brazil and to increase the import of Brazilian soybeans to 1 million tonnes," Gordeyev was quoted as saying. Noting that Brazil traditionally imports grain from Argentina, he said that Russia was prepared to export around 2 million tonnes of grain to that country. Brazil also wants to buy mineral fertilizers directly from Russia. The grain harvest in Western Australia is progressing well, with the state's main grain storage company, Cooperative Bulk Handling Ltd., saying it has received 2.8mmt of winter grains into it's system so far out of an anticipated 10-12mmt. In the east late widespread rains in Queensland, New South Wales and Victoria have caused some quality concerns to wheats in this region. The canola harvest is also underway with crops in Western Australia said to be producing oil yields in the region of 42-44%, whilst crops in the east are lower, typically around 35-38% oil. Crude oil is a little easier this morning, paring back from yesterday's 9% gain, currently $1.79 lower at $52.71/barrel. Crude rose sharply yesterday following European and US stocks higher, and was also boosted by the Citigroup bailout. Still, motorists in the US, the world's largest energy consumer, drove 4.4 percent fewer miles in September even as gasoline prices dropped, the Federal Highway Administration said last week. OPEC are due to meet on Nov. 29 in Cairo, and production cuts are likely to be on the agenda. OPEC's decision to trim output by 1.5 million barrels a day at a meeting in Vienna last month failed to stem the decline in crude prices as the global economic slump slashed demand. OPEC President Chakib Khelil said there would likely be no cut at the Nov. 29 meeting, but a reduction is widely expected at a second meeting scheduled for on Dec. 17 in Algeria. A US Energy Department report due out later this week is expected to show crude stocks rising by about 1m barrels, analysts say. Corn futures closed higher Monday, receiving support from several outside markets. USDA corn inspections for corn were slightly lower than the previous week at 28.74 MB but slightly above trade estimates. Bearish corn exports recently may get some relief, after the dollar's collapse from new highs only a few days ago. Better weather last week helped harvest inch closer to complete, USDA released weekly crop progress report this afternoon indicating that 89% corn has been harvested vs. 5 year of 97%. Dec +16 at 3.54. Soybeans and the soy complex pegged impressive gains in most contracts in the first day of this short trading week. USDA reported 36.276 million bushels were inspected for export (which was inside of trade estimates) vs. the prior week of 40.728 MB. Improved harvest weather over the past week appears to have wrapped up the bean harvest as USDA did not report bean harvest this week. Weakness in the US Dollar and strong grains in crude oil, added much of the support for commodities. Jan +44 at 8.84; Dec Meal +7.80 at 257.70; Dec BO +2.04 at 32.74. Wheat futures closed sharply higher but most contracts backed off of highs which were near 50 cents higher at one point in trade today. USDA reported higher wheat inspections for export than the previous week; wheat inspections totaled 22.304 MB vs. 15.310 MB and were well above trade estimates of 13 to 17 MB. Steep declines in the US Dollar index are supportive to wheat exports which have been struggling of late. USDA suggests that the winter wheat crop is 65% good/excellent, down 1% vs. one week ago, but 44 percentage points higher than a year ago. Dec CHI +38 at 5.37; KC +35 at 5.68; MLPS +39 at 6.15. The Agriculture Minister of Saudi Arabia, Fahd Balghunaim, said that the government will set up an $801.1 million company to invest in overseas agricultural projects, Arab News reported. The minister said in the Saudi Agriculture 2008 exhibition in Riyadh that the new company will be fully owned by the government and there will be room for private investment to carry out agricultural projects overseas. The company will focus on crops that don't grow in the Kingdom such as rice and sugar, and crops that need plenty of water supplies such as wheat, barley and animal fodder, Balghunaim added. Ministries of Agriculture, Commerce and Industry will conduct surveys about the available agricultural opportunities in other countries and provide the Cabinet with recommendations, he concluded. The once-booming Brazilian ethanol industry has taken a harsh reality check as investors that, just a few months ago, were throwing money at it with gay abandon have packed their Louis Vuitton handbags and disappeared. Full story here: "I'm still ready to play ball, but the ball disappeared"
Troubled US ethanol manufacturer VeraSun has said that it has stopped taking deliveries of corn into an unspecified number of it's US operations whilst it seeks additional financing. The company is the largest publicly traded ethanol manufacturer in the US, and has has 16 ethanol plants strung across the Midwest. That didn't stop it filing for Chapter 11 bankruptcy protection last month, and announcing last week a net quarterly loss for the period ended Sept 30th of $476.1 million versus net income of $7.8 million in the year-ago quarter. By way of graphically illustrating that turnover isn't necessarily the key to making money, the company reported net sales of $1.08 billion, up from $221.9 million a year earlier. It also said it had $9.2 million in cash on hand as of Sept. 30, down from nearly $111 million just one year ago. Relative to its loss, the firm said in filings with the Securities & Exchange Commission (SEC) that it was "currently evaluating various courses of action to address the operational and liquidity issues the company is facing." The figures make rival Pacific Ethanol's loss for the same quarter of "just" $54.9 million look positively glowing! VeraSun is said to be seeking permission to void existing corn contracts tied to at least two of the company's plants. A Canadian company called Champion Petfoods which markets a brand of gourmet cat food called "Orijen" exported from Canada to Australia ends up leaving anything that eats it feeling anything but champion apparently. The product has been recalled after reports of Australian cats dying or suffering paralysis and other chronic illnesses after scoffing the upmarket nosh. It must contain something pretty nasty if it can upset the constitution of an animal that thrives on the lower intestines of a field mouse and sparrow spleen. I wonder if Champion Petfoods is supplied with anything from China by any chance? That's where I'd start looking first that's for sure. Melamine has been found in a cargo of soya meal imported from China for use in ruminant animal feed in the Netherlands, the Dutch food safety authority (VWA) has confirmed. The Dutch company that imported the consignment informed the VWA the product had been sold to three domestic compound feed manufacturers before it detected the problem. The 111,000 kg shipment arrived in the Netherlands on 24 October, 2008. The only Chinese soya I know of that comes into the UK is marketed under the organic banner in the £500-600/tonne bracket. It is ironic, is it not, that "organic" Chinese soya with all the necessary paperwork to prove it's organic status may actually be more harmful than the bog-standard GMO varieties. And another thing, if they are prepared to mix melamine in with soya, then they aren't going to lose too much sleep over forging some paperwork to say that the product is organic as well are they? I may never order a beef and green pepper with special fried rice again, that'll teach them. Grains closed firmer on the overnight eCBOT session, on a technical rebound from Friday's steep losses. Soybeans closed around 21c firmer, with wheat up around 10c and corn 9c firmer. China said it would buy at least 3mmt of soybeans on the local market in a bid to support farm prices. The government there announced similar plans for corn last week as slumping prices reduce farming incomes and discourage planting. The government’s price support plan may spur Chinese crushers to buy beans from the US and other countries, where they are cheaper, analysts said. Soybeans for May delivery on China's Dalian Exchange gained 1.4 percent to 3,262 yuan a tonne. The futures have tumbled 38 percent from the July 3 record of 5,241 yuan. Dryness and frost in Argentina is also seen as supportive to all three grains this afternoon. Firmer oil prices, firmer stocks in Asia and Europe and the rescue plan for Citigroup also improved sentiment in the grains pit Monday morning. At 12 noon GMT crude was $2.07 firmer at $52/barrel. VeraSun said on Friday it had stopped receiving and processing corn at certain plants while it seeks additional financing. The company, which recently filed for Chapter 11 bankruptcy protection, is also said to be trying to wriggle out of existing commitments to purchase high-priced corn. Early calls for this afternoon's CBOT session: Corn futures are expected to open 5 to 10 higher; soybeans 15 to 20 higher; wheat 7 to 10 higher. The Daily Mail is today reporting that some loon who has celebrated Christmas every day for the last fourteen years is scaling back festivities due to the credit crunch. Divorced (no surprises there then) Andy Park has munched his way through 117,600 sprouts, quaffed 5,110 bottles of Moet, and sent himself more than 230,000 Christmas cards since his festive fetish began. "My daughter used to love celebrating it with me but she's in her 20s now and people started teasing her a bit. I think her dad was a bit of an embarrassment." Teasing her A BIT? They've been mercilessly ripping her to shreds for fourteen years, pal. The only surprise in this story is that you actually aren't still a virgin at 44. Mr Park once asked his ex-wife to tell him something that would make him happy & sad at the same time. "You've got a bigger knob than your brother," was her reply. Primavera do Leste used to be the middle of nowhere. Then Brazilians desperate to escape poverty settled the region beginning in the late 1970s. They cut down the trees and scrub bushes that covered the land. First, they planted rice. Then they hit pay dirt with soybeans. Within a decade, settlers founded the town of Primavera do Leste and rode a soybean boom that's turned Brazil into a leading breadbasket to the world. Primavera do Leste swelled to 60,000 residents and is expected to double in size within 10 years. However, soybean prices have cratered in the past three months. Credit has disappeared. Many farmers face selling their crop next year at a loss, and they wonder how they'll pay off loans taken out during the 2007-08 bumper harvest. In a town that's dependent on soybean's fortunes, fear and worry have replaced optimism and hopefulness. "It's a coming storm," said Milton Rossetto, who's about to become the president of a local farmers group. "Everybody is apprehensive." What's happening in Primavera do Leste is playing out across soybean country in Brazil and indeed in rural towns elsewhere that depend on other crops. Prices for wheat, corn and rice also have plummeted in recent months. This comes on top of a general weakening of the Brazilian economy. All across South America, a continent that's prospered thanks to record high commodity prices, uncertainty abounds with the crashing prices. Oil-dependent Venezuela suddenly faces a bleaker future. The decline in copper prices is reducing government income in Chile. Bolivia's economy will grow less with the drop in tin and zinc ore prices. The decline in soybean prices also affects soy farmers in Argentina and Paraguay. It also will hit Flabio Pawlina, a farmer in Primavera do Leste. Balding and potbellied, Pawlina, 42, has 16 farm hands who work the fields for him. Pawlina came to Primavera do Leste 20 years ago and bought 300 acres of frontier for a pittance. Running water, paved roads and telephones didn't exist. Pawlina now owns a 1,000-acre farm that's worth $1.6 million. He rents another 3,000 acres. His bill this year for imported fertilizer was $675,000, $100,000 higher than he expected thanks to the recent rise of the dollar against Brazil's currency, the real. "I'm planting knowing that I'm going to lose a lot of money," Pawlina said as workers nearby poured fertilizer into a cultivator as an attached tractor sat idling. "But I have to plant. I need income to pay the loan for that tractor." No one in Primavera do Leste saw the trouble coming. The 2007-08 soybean harvest may have been the best ever. Marcos Freu opened Armazem, a restaurant where waiters slice meat and chicken from cooking skewers brought to a customer's table. Sales of groceries and sundries at Supermercados Paranaense rose 26 percent. Sales at the local John Deere equipment dealership soared by 30 percent. Now Freu worries that business at Armazem will drop next year. Supermercados Paranaense is expecting growth to be halved in 2009. Sales at John Deere have begun to slip in the past 20 days with the credit crunch, local general manager Loercio Vincentin said. He's ordering fewer tractors and combines for next year. "We're preparing for the crisis," Vincentin said. Soybean prices peaked at $16.40 a bushel in July and now hover around $9, said Richard Brock, a U.S.-based agriculture consultant. Soybean production in Brazil had nearly doubled over the past 10 years. The country now vies with the United States to be the world's biggest soybean exporter. Soybeans have become Brazil's biggest farm export, worth $16.5 billion for the first 10 months this year, according to Agriculture Ministry figures. Growing demand by China and improving production have driven Brazil's soybean industry. However, Brazilian soybean production is expected to fall slightly for the 2008-09 harvest, said Edilson Guimaraes, the undersecretary of the Agriculture Ministry. "The lack of financing is serious," Guimaraes said in an interview. He said that soybean farmers would have access to a portion of the $2.5 billion that the government is making available for loans to Brazilian companies that need financing. Primavera do Leste is one of many towns that have sprung up in the state of Mato Grosso. It lies 140 miles to the east of Cuiaba, the state capital. Until now, Mato Grosso, which means "dense jungle" in Portuguese, had been making a mockery of its name by steadily turning flat frontier land into soybean farms. Last year, 1,033 square miles of Mato Grosso were deforested, according to the Brazilian government, and that was the smallest amount since at least 2000. A paved highway cuts through Primavera do Leste. Ford, Toyota and Firestone dealerships line the highway. So do grain silos and warehouses owned by the major grain companies: Cargill, ADM and Bunge. Farmers report that the grain companies either have stopped offering them credit or have sharply scaled it back. Representatives from the three companies either declined or didn't respond to requests for interviews. Among those getting squeezed is Mayor Getulio Viana, who in many ways is emblematic of Primavera do Leste. Like many settlers, Viana eked out a living in one of Brazil's southern states before heading north to Mato Grosso with several of his 12 siblings. Viana feared making the trek initially because he thought that jaguars and Indians posed a threat. In time, Viana bought a gas station and built it into one of the biggest in the state. Ten years ago he began planting soybeans, and he became one of the biggest farmers in Primavera do Leste. "I've been very daring," Viana said, noting that he left school after eighth grade. "It's been a constant struggle." The struggle continues. Viana is reducing soybean plantings from 76,600 acres to 54,000. He just bought 1,500 tons of fertilizers. "But I need another 300 tons, and I don't know where I'll get the money for that," he said. Wheat farmers across Australia are holding back their grain deliveries to AWB Ltd - and to other exporters - in the first season since AWB lost its status as Australia's monopoly wheat exporter. The Australian Financial Review reports that farmers had committed only about 5pc or 900,000 tonnes of an expected 20 million tonne national wheat harvest so far to AWB. AWB chief executive Gordon Davis said uncertainty created by the deregulation of the wheat export markets meant farmers were stockpiling their wheat, while they sorted out the best available price. However, he said farmers could yet deliver more of their crop to the company. Even WA's big CBH Group, which is in the box seat to receive the wheat in that state, is concerned, according to a report in Farm Weekly, WA. CBH warns that the WA grain receival system is in danger of breaking down as growers delay selling grain while they shop around for the best price in the new deregulated market. A bulk carrier fleet anchored off Geraldton, WA, for instance, remains idle this week and the CBH is concerned that unless some grain is quickly sold and moved out, the system could collapse. CBH Group executive logistics manager Tim Collins has told Farm Weekly that farmers who have already harvested in the northern wheatbelt are waiting to get the best price in the deregulated wheat export market. Grain from this season's harvest is starting to pour into Geraldton zone silos and there are fears the problem could spread to the WA's other grain ports, Kwinana, Albany and Esperance. A ship arrived at Geraldton last week and another five are due this week. The ships have a total 167,000 tonnes capacity. Growers could be billed demurrage costs because some of the ships have been ordered by CBH subsidiaries Grain Pool and its wheat marketing arm AgraCorp. The only consolation is that daily shipping rates have plummeted causing Panamax-size ships that cost $60,000-$70,000 daily six months ago to now charge $10,000-$15,000. Mr Collins said while he is concerned about the cost of unused ships his main concern is how the storage system would cope if the grain isn't moved quickly. Mr Collins said unless some of the grain is nominated quickly, the receival system could clog up and crops could have to stay in their paddocks. "CBH has 20 million tonnes of storage capacity if you have one grade, but when you have 60-65 segregations you lose your capacity very quickly," he said. "The system is quite literally a pipeline and so it is important that pipeline is kept open. "If these ships don't get grain we have a significant problem. "We don't need all grain nominated, but about 20pc-30pc." About 1mt has been harvested in the Geraldton zone so far this harvest. Mr Collins said the cooler weather had made matters worse because grain had not been received quickly. China's grain yield this year will reach a record high, surpassing the 512 million tons that was produced in 1998, says a senior official from the Ministry of Agriculture today. "We had a rice harvest after our wheat yield achieved a new high this summer," said the official, who wished to remain unnamed. "This is definitely a harvest year for China with a record high yield." Chinese vice-premier Hui Liangyu had previously stated at an agricultural meeting that this year's grain yield would overtake that of 1998, and reach a new record high. Shares in Europe are higher Monday morning as investors have their first opportunity to react to the news of a new US Treasury Secretary and the US government rescue of Citigroup. The FTSE100 is up 4.38%, the French CAC40 up 4.57% and Germany's DAX 3.64% higher. US stocks surged late on Friday after a report President-elect Barack Obama would nominate New York Federal Reserve President Timothy Geithner as Treasury secretary. The US government also agreed to bailout troubled Citigroup to the tune of $20 billion as well as guaranteeing up to $306 billion of Citi's troubled assets. The costs of producing winter wheat in 2009 are set to increase by up to 25% or £250 per hectare between 2008 and 2009 crops mainly as a result of higher input costs, according to TAG (The Arable Group) Consulting director Andrew Wells, reports the Farmer's Guardian. Total costs, including field, storage, land and business costs for the 2009 crop will be between £1,000 and £1220/ha, depending on soil type, compared with £800 to £970/ha in 2008, he says. Fertiliser costs alone will stand at £300/ha for the 2009 crop. Recent falls in some fertiliser prices have come too late for most growers, he concludes. 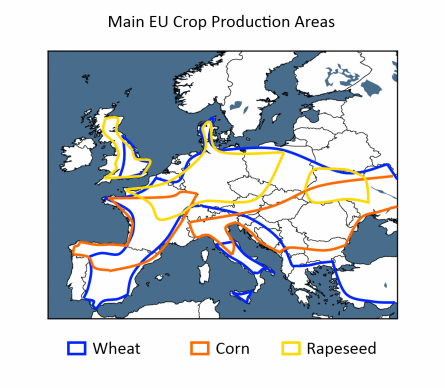 In 2008 the UK produced a wheat crop af around 17.5mmt off 2m hectares, with many producers citing record yields. This gives us an average yield this past season of 8.75mt/ha. Even if we were to achieve the same record ouput & yields again next season, using TAG's figures of a mean £1,100/ha cost, the the price of wheat next season needs to be £125/tonne to break even. The overnight eCBOT markets are a little firmer Monday morning on reports of weekend frosts in Argentina further hurting corn and wheat crops. Dryness there is also hindering soybean plantings. At 8.30GMT soybeans on eCBOT are 6-8c higher, with wheat 5c up and corn around 2c firmer. Crude is a little lower at $49.90/barrel on speculation further production cuts by the Organization of Petroleum Exporting Countries won’t be enough to prevent a glut in supplies. Meanwhile the pound is little changed against the dollar at $1.4910 before Prime Minister Gordon Brown outlines spending plans to aid U.K. companies and consumers and Chancellor of the Exchequer Alistair Darling delivers his pre-budget report. In a now familiar pattern Citigroup became the latest US financial institution to get bailed out over a weekend. The US government announced a $20 billion cash injection Sunday, just a month after the bank got $25 of tax-payers funds to help keep it afloat. In addition to the cash, the government also agreed to guarantee $306 billion of Citi's troubled mortgages and toxic assets. The decision came after New York-based Citigroup’s tumbling share price sparked concern that depositors might pull their money and destabilize the company. The bank, which two years ago was the biggest in the US by market value, has since slipped to No. 5 after racking up four straight quarterly losses totaling $20 billion.